"We had a lot of ideas for what we wanted to get across with the art this time around. Overall they were, not surprisingly, related to the general concept of the record. "What is great with Costin is that he understands the band. He knows what we are and where we come from. And me and him also have a strong artistic connection. "The inspiration for the actual front cover piece is taken from the Pergamon Altar, on display at the Pergamon museum in Berlin. It is, of course, linked closely to the concept that the whole record is based upon, but more on that later. But I will throw a name out there, for the interested ones; Peter Weiss. "I can't wait to get the whole record in my hands now, as this is just one of the many great artwork pieces that Costin has created for us on 'To Drink From The Night Itself'..."
Lindberg recently spoke to Decibel magazine about how the departure of longtime AT THE GATES guitarist and primary songwriter Anders Björler has affected the band's sound. "It is true that there is a big shift in the lineup," he said. "What you have to take into consideration is that Jonas Björler [bass] wrote 40 percent of both 'Slaughter Of The Soul' and 'At War With Reality'. Some people seem to forget this. They just assume that the lead guitarist is the sole songwriter. Jonas had to take a lot more responsibility this time around, but me and him have had a really great and creative time writing this album. 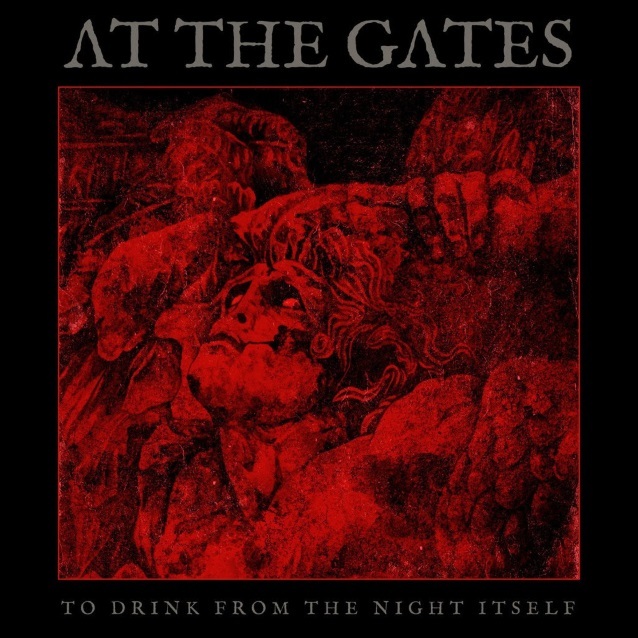 There is a slight change of direction, maybe, but AT THE GATES fans shouldn't be worried — it is still an AT THE GATES record. If anything, it is heavier and more death metal than the last one."